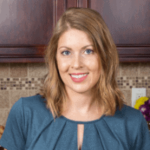 Published: Nov 6, 2017 · Modified: Apr 11, 2019 · By Jen Sobjack · This post may contain affiliate links. 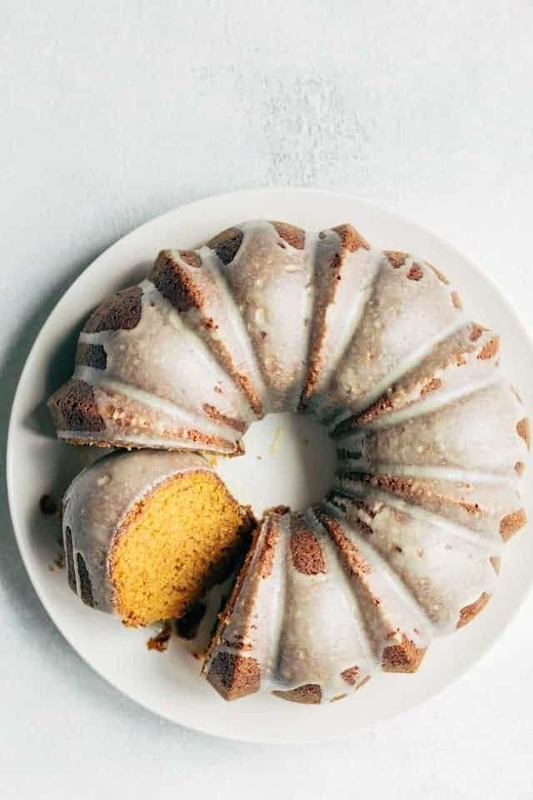 Thick, flavorful Pumpkin Bundt Cake with Brown Butter Glaze will make your house smell amazing as it bakes. It takes just 10 minutes of prep to get this cake in the oven! It’s been so cold here the past few weeks. My fingers even ache from how cold it is. 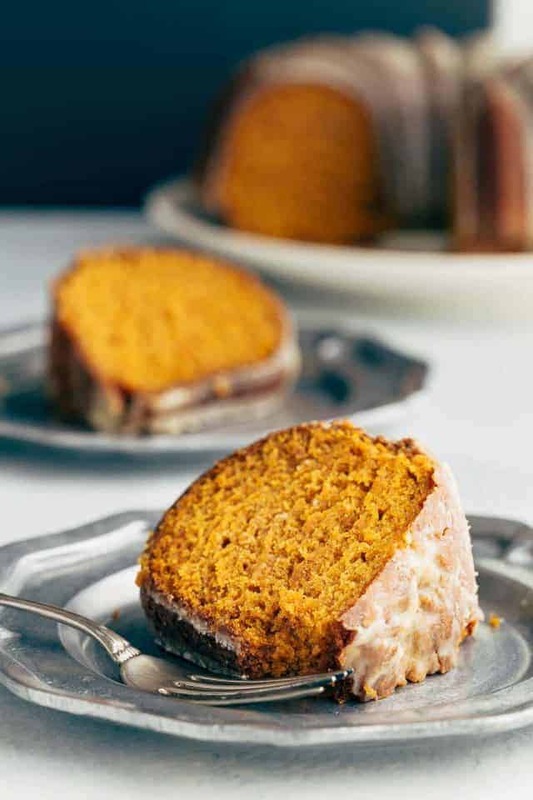 I found the best way to warm up is by cranking up the oven and baking a flavorful pumpkin cake with brown butter glaze, pumpkin cheesecake, or pumpkin pie cupcakes. I know you’re probably sick of pumpkin by now. It’s everywhere you look and has been that way for months now. But trust me when I say, you are going to want to make this cake. Not only does it taste absolutely amazing but it’s incredibly easy to make. 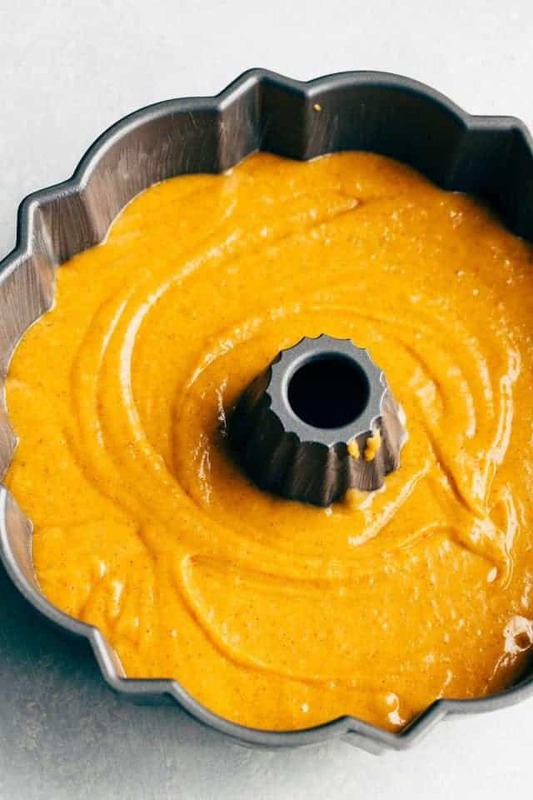 The pumpkin cake batter comes together with just a bowl and a whisk. Then the brown butter glaze comes together in a single pot with a whisk. The cake batter is made with a handful of staple ingredients like flour, sugar, eggs, oil, salt, pumpkin pie spice, and pumpkin. 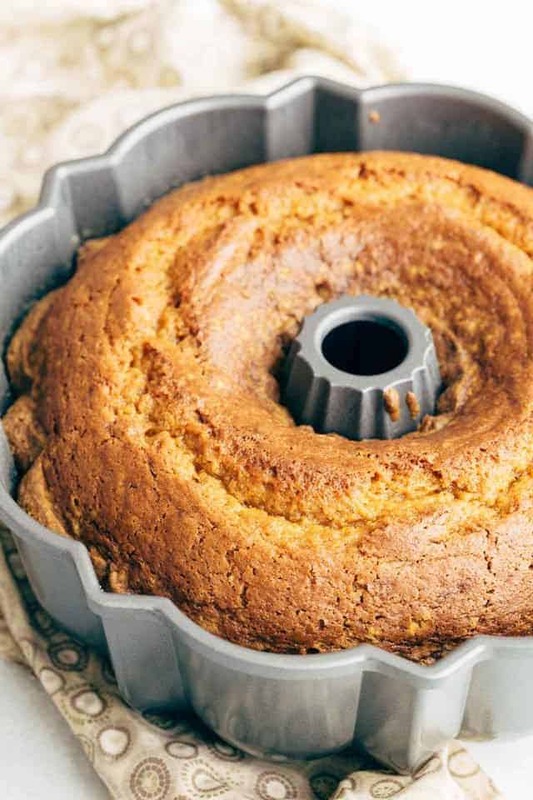 The pumpkin puree, oil, and eggs make this cake the most tender and moist bundt cake ever. And the flavor is rich with warm pumpkin pie spices. 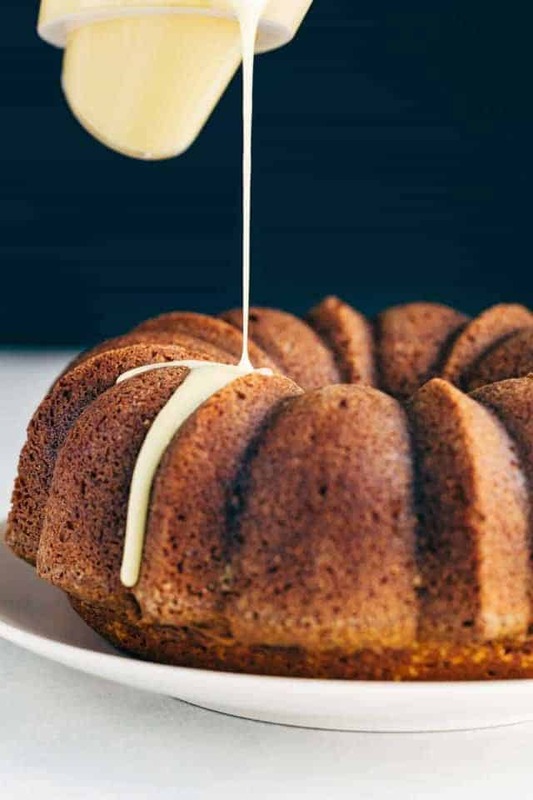 The glaze combines sweet, nutty brown butter with confectioners’ sugar and orange juice for a complex flavor profile that will make you swoon. It takes about an hour for the pumpkin cake to bake. The cake is thick so it’s going to need plenty of time in the oven. I don’t recommend using anything smaller than a 10-inch bundt pan. As you can see from the photo, the cake is going to rise all the way to the tippy top. 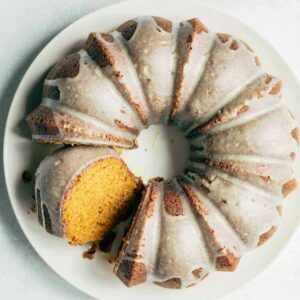 The brown butter glaze complements the cake beautifully. Plus, it’s all too easy to make. Don’t skip it. Trust me on this. Cook the butter until it turns golden brown with a sweet, nutty aroma. Then stir in confectioner’s sugar and salt. And add just enough orange juice to make the glaze pourable. 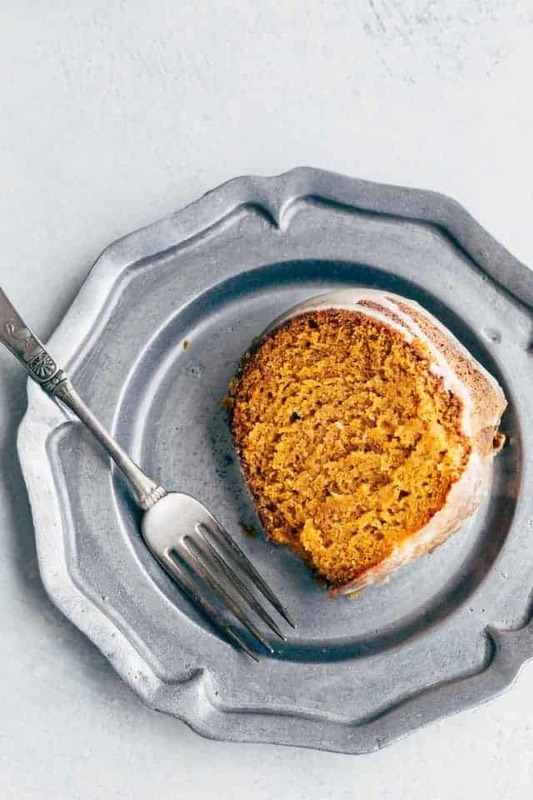 This is one pumpkin bundt cake that is so perfect for fall. You’ll love the cozy aroma that fills your house as it bakes. Preheat the oven to 350°F. Lightly grease and flour a 10-inch bundt pan; set aside. In a large mixing bowl, whisk both sugars and oil until well combined. Whisk in the eggs and vanilla. 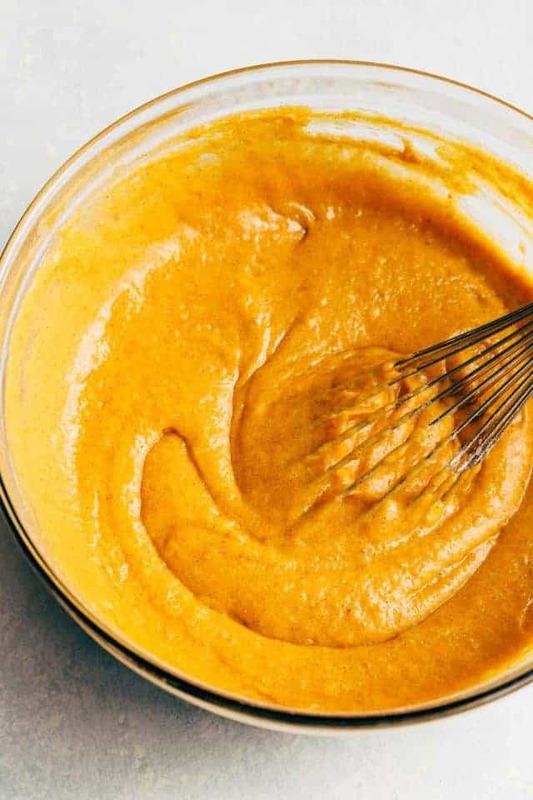 In a separate bowl, whisk together the flour, baking soda, pumpkin pie spice, and salt. Add to the sugar mixture, alternating with the pumpkin puree. Beat well after addition. Transfer the batter to the prepared pan. Bake for 60-65 minutes or until a toothpick inserted into the center comes out clean. Cool for 10 minutes then invert the cake onto a wire rack and remove the pan. Cool completely before adding the glaze. In a small pot, melt the butter over medium-high heat. Cook until the butter turns a golden brown color and has a nutty aroma, about 10 minutes. Remove from heat. Stir in the confectioners’ sugar and salt until well combined. Whisk in just enough orange juice to make the glaze pourable. The cake will stay fresh for up to 3 days stored in the refrigerator. The cake can be frozen for up to 3 months. Thaw in the refrigerator overnight. I made this and it’s absolutely the best!